An exhaustive resource of spa treatments. We also offer hair salons. Beauty Trendz at Jubilee Hills and Madhapur are elegant and exclusive salons that compete with some of the globally renowned salons across the world. Home to remarkable experiences, the diverse client roster at Mirrors include movie stars, celebrities, models, socialites, political figures and many others. As a style partner for many events, Mirrors also styles up many models at fashion and award events. 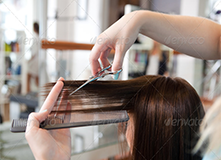 At Beauty Trendz Salon & Spa, our experienced stylists are professionally trained and inspired by the latest trends. We offer a range of hair and beauty treatments such as haircuts and color services, as well as hair treatments, make-up, manicures, waxing, bridal, formal styling and more. Our Spa services are top of the line. Whether you’re interested in facials, waxing, or one of our many nail services we are committed to making every visit a rejuvenating one. I've only been here once but was impressed with the way these aunties run the place. 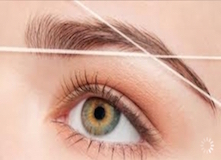 When I arrived there were at least 4 people waiting but I was called for my threading right away which was a relief as I was in a rush. Not sure who threaded me but she was great! No appointment needed. Fast, painless and did my eyebrows, chin and lip in a breeze- def less than 20 mins. And I paid $14! Not bad at all. It's always a good thing too when you see all kinds of folks in an Indian salon because that means they're really doing a great job. I saw some girls getting their hair done and I think a facial. Best of all my eyebrows looked fabulous-movie star eyebrows! I love my stylist of 4 years and my new Davines hair color. It doesn't fade! (Now if I just stopped growing grey ... .) I guess I'll give business a little longer! © Copyrights 2014 Beauty Trendz, All Rights Reserved.